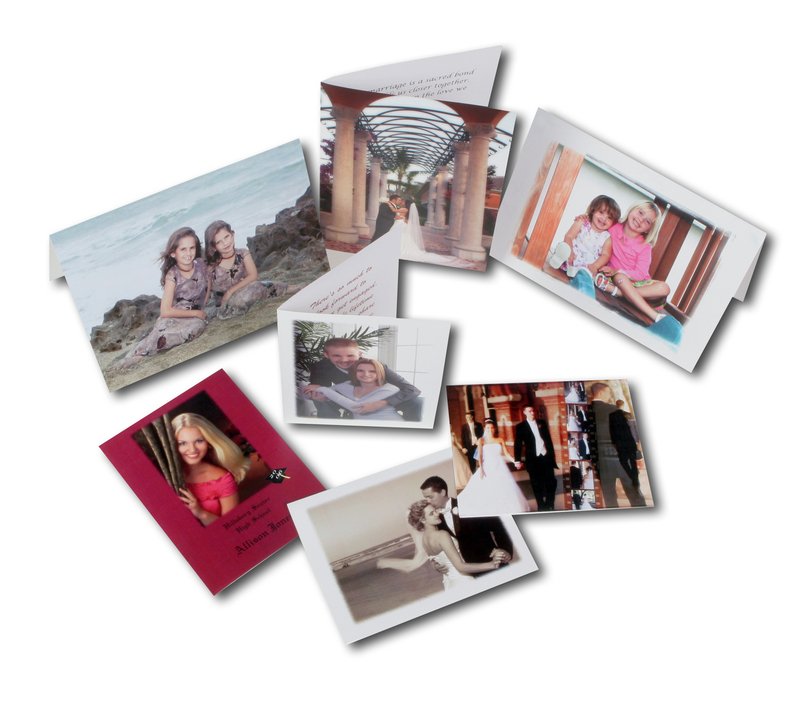 Greeting cards can be printed on photographic paper or press paper. Photographic sizes include 4×8, 4×6 and 5×7. Choose from Luster, Glossy or Metallic paper. For press printed cards, you can choose from flat or folded, 4×5 or 5×7. Paper options include Linen, Pearl, Art or Gloss cardstock. Envelopes are included.